Unibet Casino is offering their members a special promotion connected to their exclusive Unibet Live Blackjack Tables. Players who visit the online casino during the weekend will be able to take part in the Gold Cards promotion with €3,750 in total up for grabs. Unibet is placing 200 special Gold Cards at the Live Blackjack Tables, from Saturday 15:00 to Sunday 01:00 CET and if you are dealt one, you win a cash prize! Simply visit one of the Live Blackjack Tables every weekend during the promotional time frame and hopefully, you will be dealt a Gold Card. There will be 25 Gold Cards available with a €50 value, 75 worth €20 and 100 worth €10 each. Players should note that any Bet Behind wagers are excluded from the Gold Card promotion. The Gold Cards are placed at random in the shoe each day and the player who earns a Gold Card will win the card whether they win their blackjack hand or not. Players are limited to earning 15 Gold Cards per one round of the promotion. The cash amounts won during the Gold Card promotion will be credited to a players account within a 72-hour time frame of the card being dealt. If the dealer is dealt the Gold Card, the card will be placed back in the shoe. 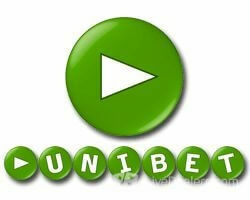 Players can take part in the special promotion at Unibet Casino on desktop or mobile devices. Log in and play at the Live Blackjack Tables from the comfort of home or on the go, having access to the special promotion either way! If you enjoy Live Blackjack, then the Unibet Gold Card promotion is a great way to have fun playing the game you love with the possibility of earning extra cash. Visit Unibet Casino today to give the Live Blackjack tables a try and be sure to come back during the weekend to try your luck at winning one of the 200 Gold Cards! Each player can collect up to 15 gold cards every weekend! Only the player sitting in the seat that the card is dealt to will win the Gold Card.